The Bermuda Turtle Project 50th anniversary events culminated with a Sea Turtle Soirée, attended by some 235 guests and successfully raising $200,000 to support the future of this valued research and education initiative. There was much to celebrate by project partners, the Bermuda Zoological Society [BZS] and the Sea Turtle Conservancy [STC]. Amid STC’s initiatives on nesting beaches in Tortuguero, Costa Rica and the Bermuda Turtle Project in-water studies, these organisations hold the longest running studies on endangered sea turtles in the world. Most of what we know today about the life history of these endangered species can be attributed to the consistent and meticulous efforts carried out over many years by STC, BZS and their collaborators. Outcomes from both projects have changed the way we conserve sea turtles and protection efforts have led to a recovery of many sea turtle populations across the region. “The Soirée was attended by the founders, their families, board members of the partner organisations and our highly valued donors and sponsors,” the organisers said. 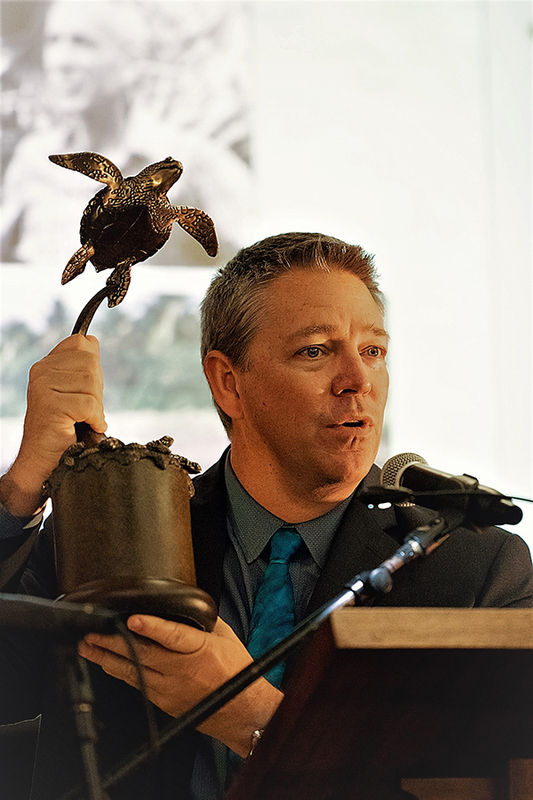 According to David Godfrey, Executive Director of the STC, “The Archie Carr Lifetime Achievement Award, symbolized by a one-of-a-kind bronze sculpture by renowned artist Joseph Quillan, was established to honor individuals, who, like the worlds greatest champion for sea turtles, Archie Carr, dedicated their lives to the cause of sea turtle research and protection. 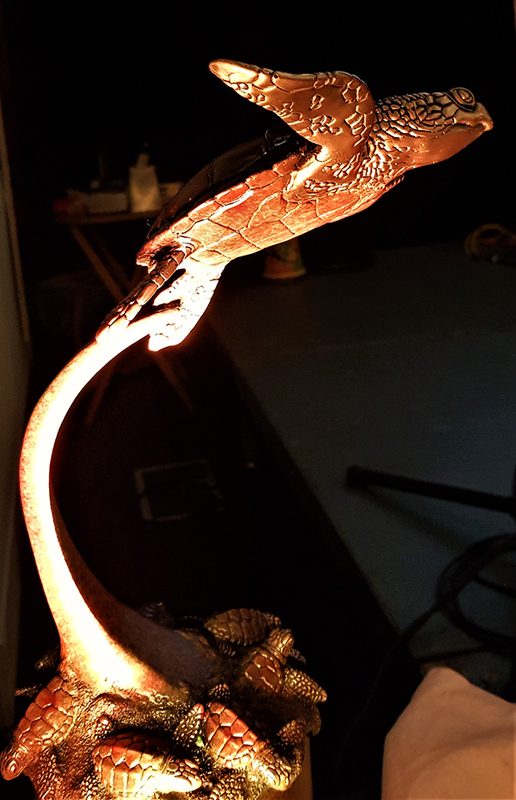 “To date, the award has only been presented to four other individuals, one of whom was Dr. Clay Frick, who helped initiate the Bermuda Turtle Project – and whose family members were present for the celebration. “Anne and Peter have dedicated their lives to the study and protection of sea turtles. As scientific directors of the Bermuda Turtle Project for nearly three decades, they have maintained a level of scientific rigor that has made this an internationally-renowned project. “Through the international course on in-water research conducted each year here in Bermuda, they have taught and inspired hundreds of young biologists and resource managers who are now leading conservation efforts in their own countries. “For nearly 40 years, they have monitored and protected a population of critically-endangered hawksbill turtles nesting in Panama – a population that is now showing remarkable growth and recovery as a result of their work. “Between them, they have authored nearly two hundred peer-reviewed papers and articles that have expanded the world’s knowledge of sea turtle ecology, migration, feeding ecology, reproductive biology and conservation status. “Through their professional careers [Anne with the Fish and Wildlife Research Institute and Peter with Eckerd College] they have overseen the monitoring and protection of critical nesting sites in the United States; influenced regulatory policies that are helping recover sea turtle populations; and inspired the next generation of sea turtle biologists. They are widely respected by their peers in the international sea turtle conservation community. 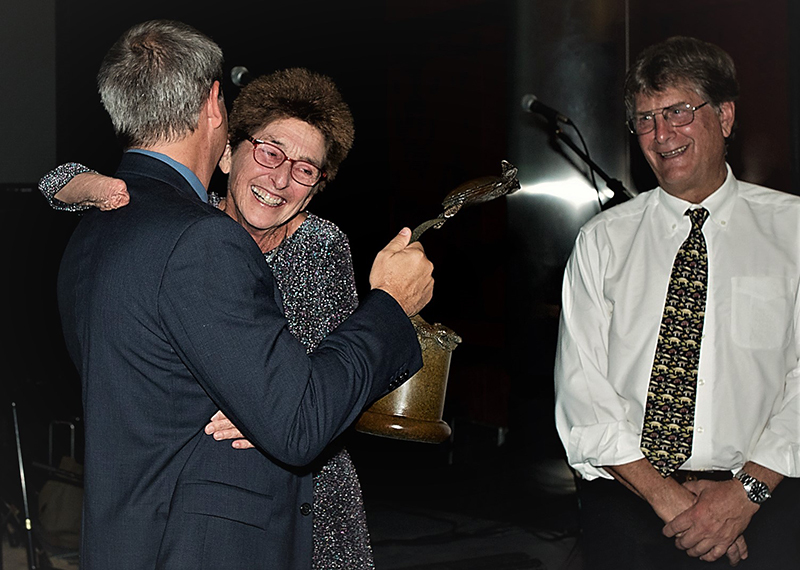 Anne and Peter Meylan said, “Getting the Carr Lifetime Achievement Award came as a complete surprise. And to receive it and to be acknowledged in front of a large and important Bermudian audience made it extra special. “We are honoured to be among the few recipients of this award and it is very satisfying to have our work in Bermuda and elsewhere recognized. Our work with the Bermuda Turtle Project has changed over the years but the successes are easily documented and the need to carry on very clear”.